Indiana University East is pleased to welcome new faculty members to the School of Humanities and Social Sciences. Brian Brodeur, assistant professor of English, Creative Writing/Poetry, received his Ph.D. in English Literature and Creative Writing from the University of Cincinnati. He received his M.F.A. in Creative Writing from George Mason University and his B.A. in English and a Minor in History from Salem State University. Previously, Brodeur was an instructor at the University of Cincinnati and an associate editor for Cincinnati Review. Formerly, he was a library specialist for George Mason University Libraries in Fairfax, Va. He also taught for the Art Institute of Washington. Brodeur has published poetry most recently in American Poetry Review and The Missouri Review. In February 2015, he published Local Fauna and was a co-winner of the 2013 Wick Poetry Center Chapbook Competition at Kent State University. He has also published poems in anthologies, articles, interviews and reviews. He has presented at several conferences including the Society for the Study of Midwestern Literature (SSML). 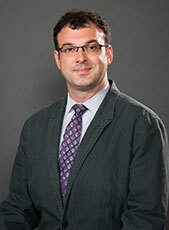 Kris Rees, assistant professor of political science, is an alumnus of Indiana University. He received his Ph.D. in Political Science and Central Eurasian Studies and his M.A. in Central Eurasian Studies from IU Bloomington. Rees earned his B.A. 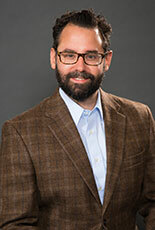 in Psychology from Whitman College, located in Walla Walla, Wash.
Rees’ research interests include identity politics; interethnic relations, nationalism; language policy and implementation; protests and political movements; multiculturalism and citizenship; and qualitative methods. Previously, Rees was the Future Faculty Teaching Fellowship in Political Science at IU Bloomington and IU East and adjunct instructor at IUPUI. He was formerly an associate instructor at IU Bloomington. Rees has frequently presented at the annual conventions of the Association of Study of Nationalities. As an undergraduate, Rees received the Norman Klockman Memorial Award for Scholarship and Service in May 2001. He was also the treasurer for the Political Science Graduate Student Association and vice president/conference coordinator and secretary for the Association of Central Eurasian Students. Rees is a member of the American Political Science Association, Association for the Study of Nationalities and the Central Eurasian Studies Society.